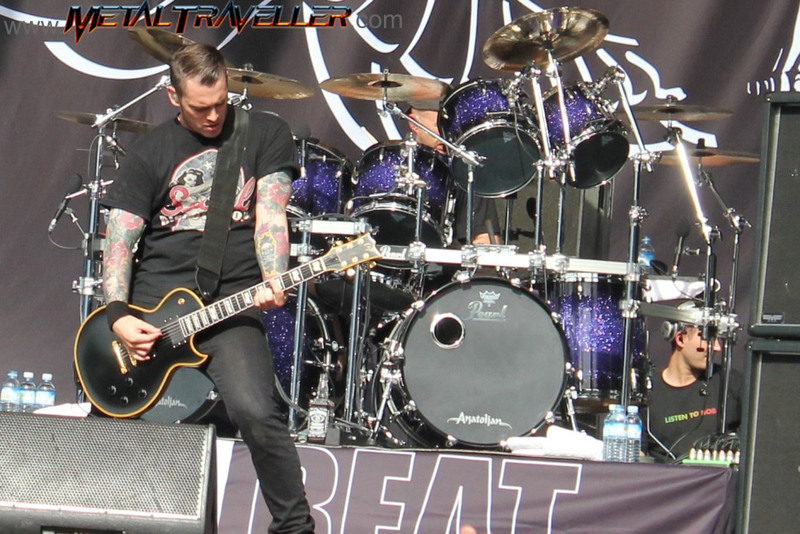 After Anthrax, the next band was Volbeat! What a pleasure to see that Volbeat were back in France. This band didn’t get much support from record companies in France, that didn’t want to release the album Beyond Hell/Above Heaven. 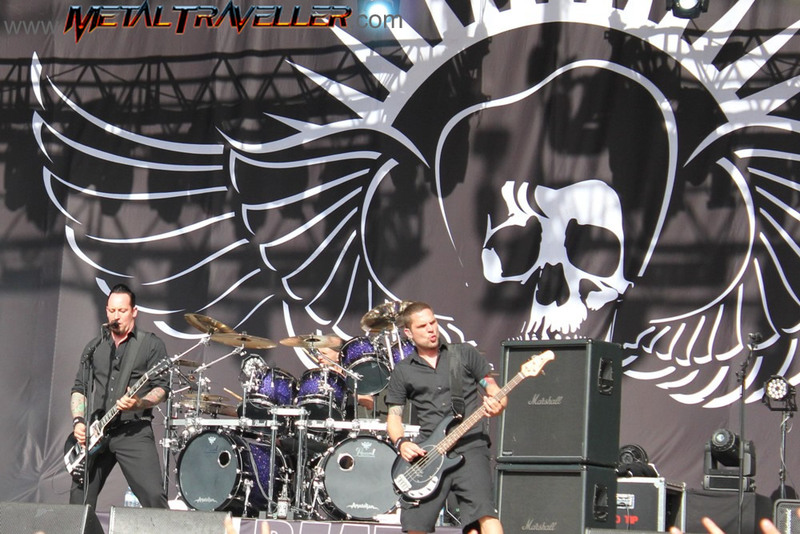 In late 2010 Volbeat did an extensive European Tour skipping France... But it seems that finally French promoters realized what they’ve missing in these troubled times for the music industry. Volbeat started with The Human Instrument and to be honest, the sound was horrible. But this didn’t prevent the audience to go crazy during the gig! 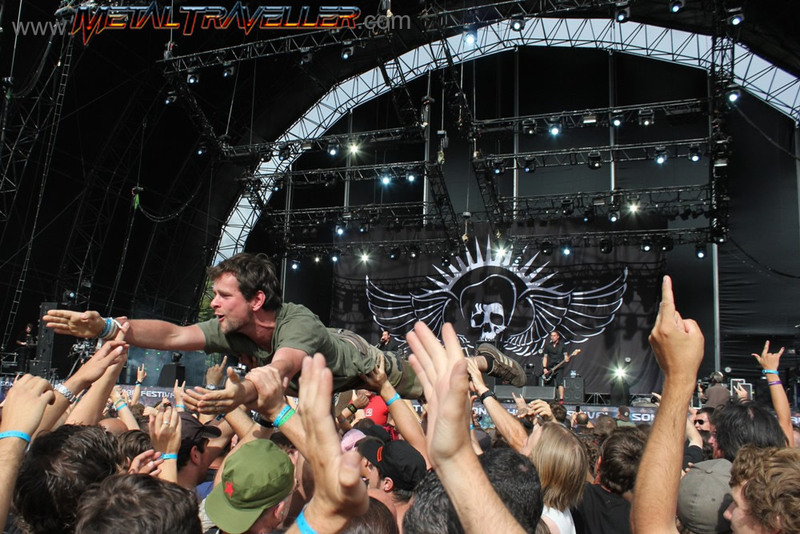 Volbeat won the crowdsurfing price of the Sonisphere! There were bodies everywhere swimming over the pleople in a friendly atmosphere. Michael Poulsen added a touch of good humour, joking about the Big Five event. Yeah the Big Five: Anthrax, Slayer, Megadeth, Metallica… and he said Volbeat had to be number 5. 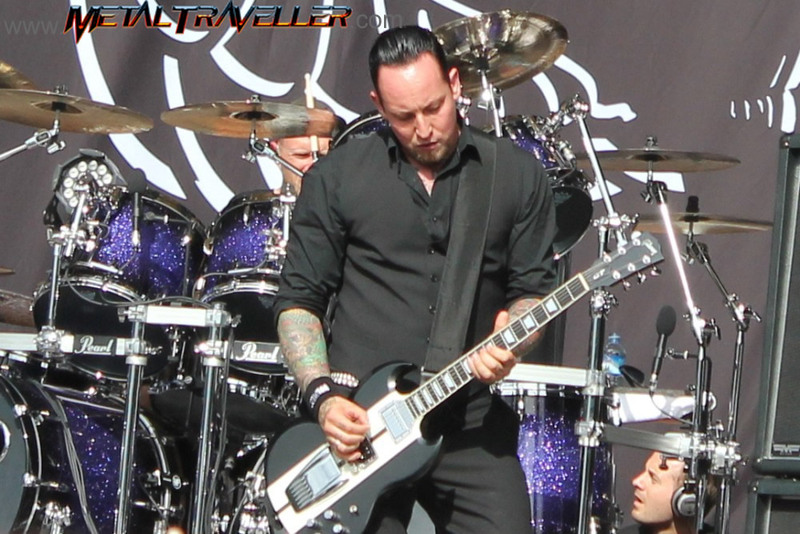 Volbeat are thrash metal fans. In Wacken they covered Slayer's Raining Blood, and they name Metallica in the song Wild Rover Of Hell. Later, Michael dedicated Sad Man’s Tongue to Johnny Cash, and he made the ladies (and only the ladies) scream before The Mirror and the Ripper. The setlist was well balanced between early songs and more recent ones. We had 3 songs from the latest album and most of their best known tunes… but sadly the singles Radio Girl and The Garden’s Tale were not played. I guess those songs would have done better than Still Counting for example. Near the end of the concert, I Only Want to Be with You was one of the best moments of the show. Well, after a great moment spent with the Big Five, back to the Big Four with Slayer.